As a lot of effort and creativity goes into creating a web page, you should know how visitors use or navigate the page. You also need to keep a check on the In Page Analytics to improve Goal Conversion. 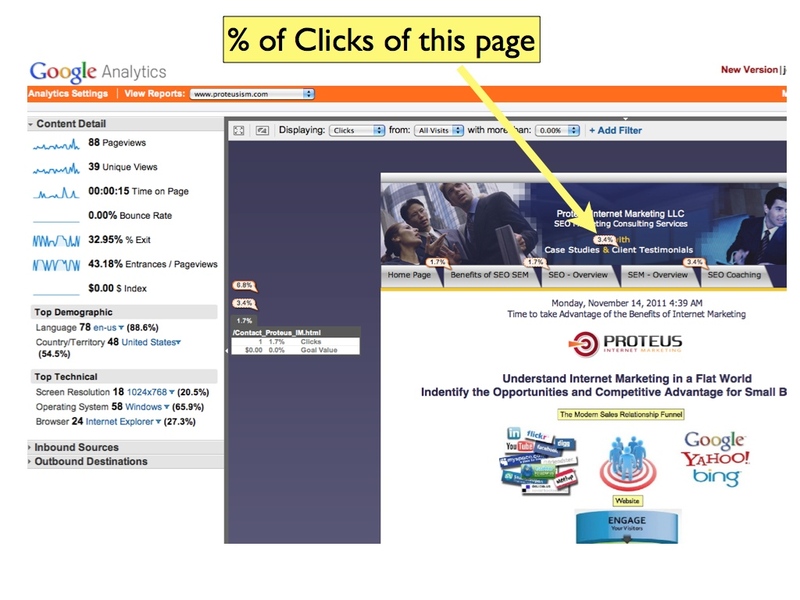 Google Analytics has a feature called In-Page Analytics, which overlays the traffic data on each page, showing by % of clicks how visitors navigate the page. The In-Page Analytics is in the Content reports section of Google Analytics. Bubbles represent % of Clicks on the Page.